Mike Clevinger went 11-1 with the Clippers and pitched in three World Series games for the Indians in 2016. These are boom times for the Columbus Clippers. Our hometown heroes are riding a wave of success that includes three straight International League West Division finishes and a Governor's Cup title in 2015. But as the cream of Cleveland's fertile farm system rises to the AAA level, this Clipper squad might be the best one yet. This year's team is armed and dangerous, with a plethora of Major League ready talent both on the mound and in the lineup. The arms include a young, yet experienced starting rotation and a veteran bullpen. At the top of the rotation is 26 year-old right-hander Mike Clevinger, who went 11-1 with the Clippers and 3-3 with the parent club last year. After making three appearances in the World Series, Clevinger is biding his time in Columbus, anchoring the Clipper rotation while keeping ready for the phone call that will inevitably come sometime this season. The likely number two starter is 25 year-old Ryan Merritt, who became a folk hero in Cleveland during the postseason. A rash of injuries prompted the Indians to call on the unknown lefty to start game six of the ALCS. Merritt responded with 4 1/3 shutout innings as the Tribe defeated Toronto for the A.L title. Adam Plutko and lefty Shawn Morimando also made appearances with the big league club last year and round out perhaps the league's most talented starting staff. The bullpen is also stocked with young arms that have had a taste of the big leagues, with Perci Garner, Joseph Colon, Nick Goody, Carlos Frias and lefties Kyle Crockett, and Tyler Olson all having pitched in The Show. Most of them figure to be called upon by the Indians at some point in the long season. On the offensive side, this Clippers team is definitely dangerous, and should pile up runs in bunches. 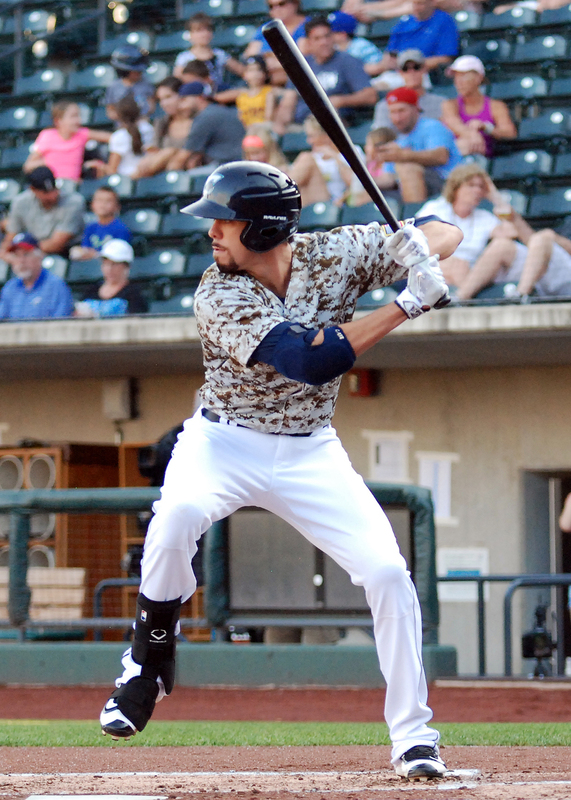 All eyes will be on 24 year-old phenom Bradley Zimmer. Rated the top prospect in the Cleveland system, the sleek, powerful center fielder figures to make his big league debut at some point this season. A potential five-tool star, Zimmer had a monster spring with the Indians and will refine his game in Columbus, where he played 37 games last year after being promoted from AA Akron. He hit a combined .250 between the two teams with 15 home runs and 62 RBI and added 38 stolen bases. Shortstop Eric Gonzalez, meanwhile, is a finished product. The slick-fielding 25 year-old has nothing left to prove in the minors, hitting .296 with 31 doubles, 11 HR and 53 RBI with the Clippers last season. But with budding superstar and former Clipper Francisco Lindor blocking his path, Gonzalez won't be seeing much time at shortstop for the Indians in the foreseeable future. So look for Clipper manager Chris Tremie to move him around the diamond as the Indians groom him for a possible utility role. Giovanny Urshela returns after spending all or part of the last three seasons with the Clippers. Considered a Gold Glove caliber third baseman, Urshela had an 81-game audition with the Indians in 2015, and is looking to prove to the Indians that his bat is on par with his glove. Veterans Chris Colabello, Daniel Robertson and Richie Shaffer bring big bats and major league experience to a potent Clipper lineup. In the pipeline at AA Akron is a clutch of rising stars that figure to make their Clipper debuts at some point this season, including catcher Francisco Mejia, center fielder Greg Allen and first baseman Bobby Bradley. Bradlye Zimmer is rated the top prospect in the Cleveland organzation.